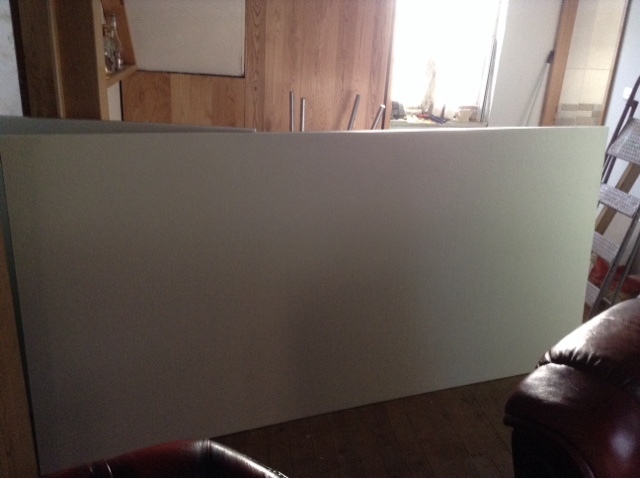 Today I had eight sheets of plasterboard from my lounge up the stairs to the loft. Every sheet all on my own, each sheet has insulation on the back and they where heavy. The delivery was great he always gives me a lift inside the house but I couldn't ask him to help me upstairs. Three sheets are for the gable end wall at the side of the new window the other five are for the walls of the new bedroom. Two sheets left and they are all upstairs each sheet is 2.5 meters long and 1.2 meters wide and up a narrow staircase.